Despard is proud to present an evening of Artist Talks, as part of our Annual Summer Show 16/17. The two Hobart based artists JAMIN and Todd Jenkins will be talking about (and presenting) their new body of work, followed by a short Q&A. JAMIN (born Sydney, 1976) is a Tasmanian artist based in Hobart, most well known for politically charged paintings. His career spans 10 years of exhibitions, street art, murals, university lecturing, involvement with art organisations, and leading stencilling and street art workshops with youths. Career highlights include selection for Contemporary Australia: Optimism at the Gallery of Modern Art, Brisbane, 2008; the Devonport Regional Art Gallery Solo Commission, 2007; the Rosamond McCulloch Studio Residency, Paris, 2011. JAMIN has a second solo show coming up here at Despard: opening 28 July – 20 August 2017. Todd Jenkins artworks are surreal painterly landscapes that abstract the notions of time and place. Born in Hobart Tasmania, Jenkins studied painting at the Tasmanian Centre for the Arts. His paintings draw upon the natural world and history to depict dreamlike landscapes. Jenkins paintings gradually reveal mysterious forms that a shrouded in thin veils of paint. A revealing and concealing within his work creates a dreamlike quality. Todd has been exhibiting throughout Australia for the past 20 years. Todd Jenkins paintings are held in private collections throughout Australia and Internationally. Jenkins has his fourth solo show this year at Despard Gallery: 28 June – 23 July 2017. Join us for a drink and listen to these two local artists talk about their work! For the latest updates regarding this event follow us on Facebook! Please contact Steven Joyce, director Despard Gallery for more information. 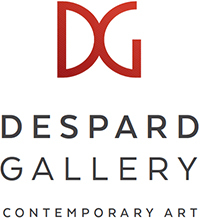 Information about the event and artist also via Despard Gallery website.